There is almost nothing worse than when you are trying to focus on work & all you can hear is a fan hustling away in the office - yet you can't turn it off otherwise you will sweat away into a heap on the floor. Here, however is a showcase of very well rated, ultra quiet fans intended for office use - where they afford you the ability to concentrate on the task in hand as well as being kept nice & cool. Hopefully you will find the right fan for you or at the least give you a better indication as to what you are after. Dimensions: 19.5 x 12 x 6 inches | Weight: 3.7 lbs | Cord Length: 5.9 ft. Starting with pretty much the most premium office desk fan on the market -- the Dyson AM01. 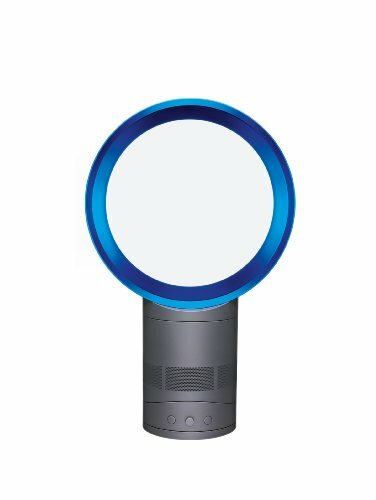 Like all Dyson fans including the AM01 - they are famous for being operating without blades, whereby the fan utilizses air multipler technology that draws in around 5 gallons of air per second and then amplifies it by up to 15 times. 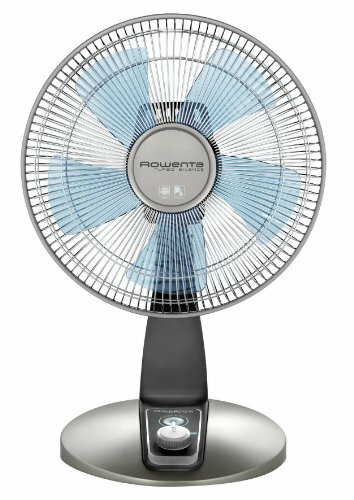 This then produces a nice cool smooth air flow (with bladed fans the air flow is usually quite choppy which can be quite irritating rather than relaxing & especially when working this can get pretty irritating). It has a touch tilt feature (by 10 degrees) so you can get your desired trajectory & also can oscillate on a 90 degree axis. You have precise control (operational at its base) to alter speed, oscillation etc. In terms of design it is pretty sleek & modern looking (also available in a white, silver & grey mesh - which I think I prefer) at the least it is certainly unique -- you won't get other 'fans' looking like the AM01 obviously it with it being bladeless (I found it always to be a pretty cool talking point). Granted it is rather expensive, but you are getting an awesome quality fan in return. Dimenions: 15 x 13.8 x 8.2 inches | Weight: 6 lbs | Corded. This high velocity desk fan is highly regarded by owners - with over 300 positive reviews -- and is an upgrade to the previous Brezza fan. It has improved the dual oscillating motors to be come "ultra quiet" (aerodynamically designed to produce the lowest dB noise rating) yet still powerful enough (offering 3 different settings) to cool down an entire room -- through controlling its lateral & vertical (up to 90 degrees) oscillation -- being fully flexible left & right and up & down (all of which can be accessed & controlled through the front panel). The design is both compact (coming with a handle, so is pretty portable) & overall 'look' quite fitting for a professional environment. In all, this model offers a lot of bang for its buck (given its pretty inepensive price tag). Dimensions: 10.6 x 14.1 x 17.5 inches | Weight: 9.8 lbs | Corded. This 12 inch Hunter table fan is your traditional bladed fan with a brush nickel feel (intended more for the home office, rather than in a professional office environment) that has been engineered to a supreme quality -- and proved to be hugely popular model. It also has numerous reviewers attesting to how silent it is in operation e.g. 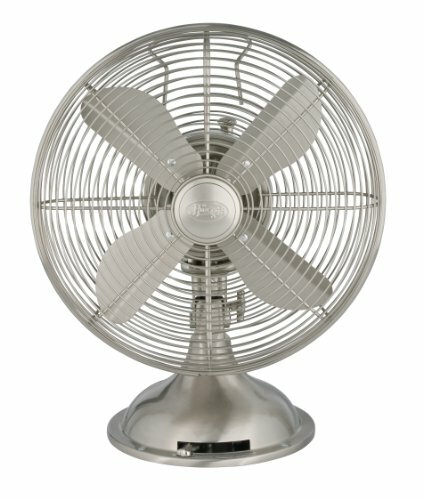 Aussie Sue: "This fan not only moves a lot of air, it is quiet, well built & has a great appearance!" & Stephen Datrley: "Just what I wanted. Very attractive looking, and works great. The fan is very quiet, too. Only good things to report about this product." It is a metal built contraption that is probably one of the most powerful (operation on 3 motor speeds) in the showcase & turns on a 85 degree oscillation. Dimensions: 44 x 13.8 x 6.5 inches | Weight: 16.8 lbs | Corded. 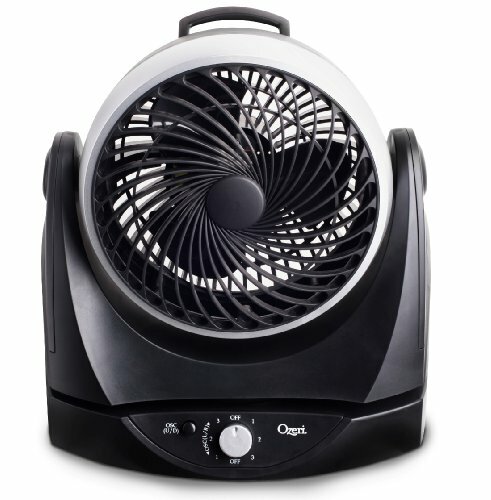 This Ozeri model would easily be my top choice for a quiet tower fan -- just for the sheer amount of value it offers relative to the price. It has been designed & produced with the three main aspects that you desire from an office fan: silent operation (e.g. it is integrated with "unrivalled" passive noise reduction technology, where basically the fan blades have been re-configured to a specific curvature to dampen blade noise as well as isolate airflow soundwaves) as well as power & practicality (e.g. the three fan operation system can be individually controlled for three settings, which in all can produce a huge amount of air-flow -- which can all be controlled via remote control or through the touch LED dispaly control panel). But, it also offers little bonuses too such as the 7.5 hour timer that can be altered to your preferences (when what setting should come on & turn off etc.) as well as "whisper quiet oscillation". It looks pretty cool too (similar to that of a standing stereo speaker) especially with the glass base -- tall, dark & handsome shiny. This fan has only recently been released but it is already making a sound name for itself as being one of the best quiet fans you can get for the officee -- where Rowenta not only claim it be their "queitest desk fan" (with claimed noise levels of 38 to 55 dB, resembling the noise level within a library) but also their "most powerful" due to 5 uniquely engineered blades that allow 1,695 cubic ft per minute which allows it instantly provide a huge flow of cooling air. Like other desk fans it works on a 90 degree oscialltion from left to right -- cooling a whole room down within just minutes. Where although it doesn't have the same sort of backing in the quantity bought (as it is so new) as the fans above, this really is a stellar product that certainly ticks the boxes - ultra quiet & ultra powerful. Which fan model will you choose and why? Also, if you have any questions, comments or concerns regarding either the showcase guide - 'best quiet fans for office' or about any of the models mentioned above then please do not hesitate to make them in the comment section just below and we will be sure to get back to you as soon as possible.